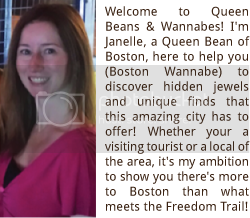 Queen Beans and Wannabes: Recapping Patriots’ Day 2014!...aka The Best Day of the Year! Recapping Patriots’ Day 2014!...aka The Best Day of the Year! Ah, Patriots Day, that one amazing day of the year where we celebrate life, runners, beer and baseball all while catching rays from the beautiful spring sun. I think we can all agree that this Patriot’s Day was especially poignant since this would mark the first Patriots’ Day since the terrible tragedy last year. Like so many others, when Patriots’ Day came around this year, we were going to stand up higher, cheer louder and let everyone know that Boston is not a place to mess with. For me, what was originally going to be a semi-quiet Patriots Day turned out to be an absolute great time from beginning to end. 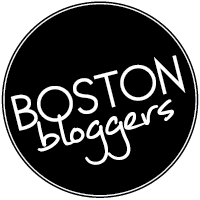 In fact, if I do say so myself, it was so fun that I had to blog about and share it with my other Boston & Patriots’ Day lovers. So, without further ado, my Patriots Day in pictures and writing! Sunday night began as a last minute invite to the Red Sox game so that I could help out with the ‘Flag Crew’ after the game was over. Before the game had started, I was asked to help with the Flag Crew and be down on the field to catch the flag. I’ve never been down “on the bottom” before, so this was a cool experience, and might I say a very emotional experience. Usually there is usually a military staff that comes out to help assist with catching the flag and carrying it off the field, the flag crew hides behind the flag and we stay as invisible as possible. However, this time it was different given that this was the 1st anniversary of the Boston Marathon Bombings. This time around, members of Prayers Canvas- America 4 Boston came out with the Boston Marathon Prayer Canvas that showed support and well wishes from people across the country. It was a beautiful sight, but on top of that *cue to tissues*, right before they draped the flag over the Green Monster, the survivors and families of those lost in last year’s tragedies came out onto the field with probably the loudest crowd I’ve ever heard at Fenway Park cheering them on in full support. It’s one thing to hear about these amazing people on TV or in magazines, it’s another to see them in their full strength walking out right in front of you…I’m tearing up as I write this. Of all the Flag Crew’s I’ve been a part of, this was probably the best one by far. Behind the scenes of the Flag Crew!! Normally, after the flag has been dropped and carried off, my friends and I usually either find a place to stand or go to the bar afterwards, but this time we were able to get seats in the Grandstand right behind- or a few rows behind- home plate. The game turned out to be a good one with an awesome ending! After the game, it was back on the field to re-roll the flag up and get everything ready to be back at Fenway Park bright and early in the morning. Wrapping up the Flag Roll-Up Night! Not a cloud in the sky that morning as I made my way up to Fenway Park for another day with the Flag Crew and seeing another great game. For the third time in as many days, the Flag draped over the Green Monster without a hitch and our job was done- it was time to relax and watch the Sox! I run on Dunkin' Donuts & Red Sox!! This time, however, we were not so lucky to get tickets to sit all together; however, the tickets we did end up getting for all of us were not so bad. Since I was the single person there and the rest being couples, I had to make do and sit in the second row of dugout seats right by the ball girl by the 3rd base line with my friend’s aunt and uncle… actually, they were the coolest seats I’ve ever sat in!! Seriously, if you ever have the chance (or the money), you need to sit in this area! The only times I needed to get up was to use the bathroom, the rest of the time we had our own personal waiter there to take our Fenway Frank and beer orders and deliver them to us. All I had to do was sit back, relax, soak in the sun and watch out for foul balls. I actually made it on live TV as a foul ball came our way and the Red Sox 3rd baseman almost had it, all the while almost falling into the crowd! Seats right next to the Ball Girl!! Watch out for Foul Balls! Such a beautiful day!! Not a cloud in the sky! After a good come back but eventual loss to the Baltimore Orioles, it was time to walk up to see how the Marathon was going. We made it as far as Boylston and Dalton Streets but were told we were not allowed to go past that area or walk down Boylston Street due to overcrowding. Most people either stood there watching the runners as best they could, others walked away to try and find another area. We used our resources and figured out a way to get in past the barricades… which we did. We settled on the area of Hereford and Boylston Street meet where runners are on their last turn before the finish line. There were watched and cheered on runners and watching with hopeful eyes for a few runners we knew were coming around the bend. Congrats Runners! You're almost there! Little shade while watching the runners! Last few feet of the race! !...and awesome seats on the roof of Forum!! After we saw the last of our friends run around the bend and make their way towards the finish line, it was time to go home- it had been a long past couple of days and I was exhausted. So there you have it, why Patriots/Marathon Monday can easily be called the best day of the year!